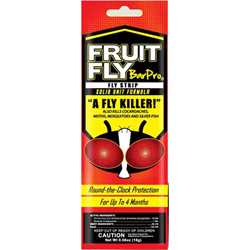 This product seems to zap fruit flies and other flying pests. We have not had any sightings of fruit flies at all. The normal black flies are "walking" now. Easier to swat... This thing must be Kryptonite to flies.